I saw this idea on Pinterest. 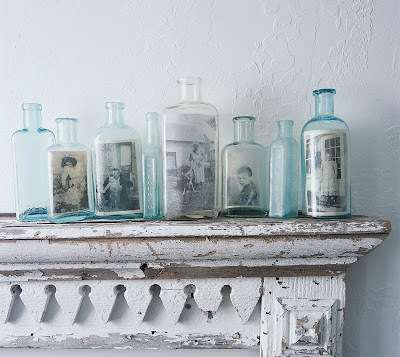 I always just used old bottles as display on shelves, or as vases, but to add photos to them? 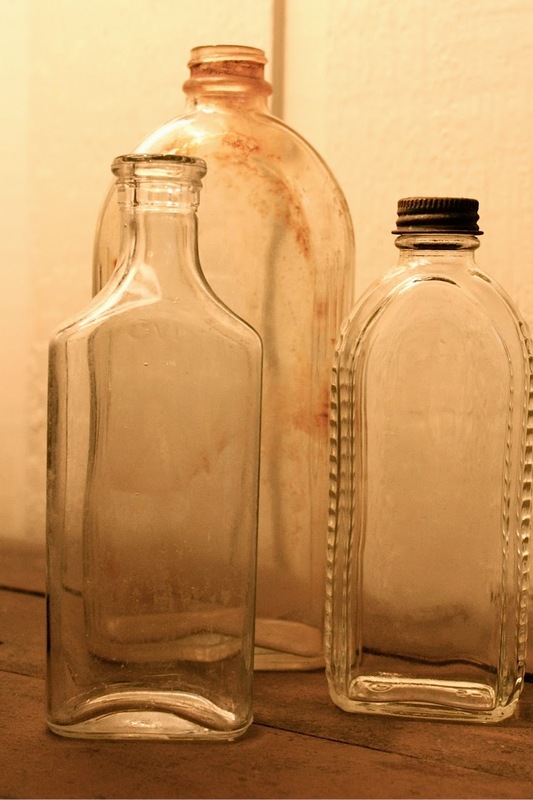 I have just listed a bunch of cool old bottles in my etsy shop. There are clear ones, blue ones, green ones, amber ones, and some with really neat old labels! Head on over and check out the selection! Im off to check out your newest additions! omg....I ABSOLUTELY love Islands in the Stream! 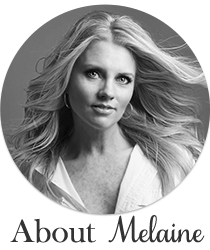 So glad I stayed on your blog and caught up on your past posts to hear it :D You are officially responsible for me humming it the rest of the nite! I can't get enough of the vintage bottles and your are adorable with the photos in them. I'm off to check out your etsy shop! 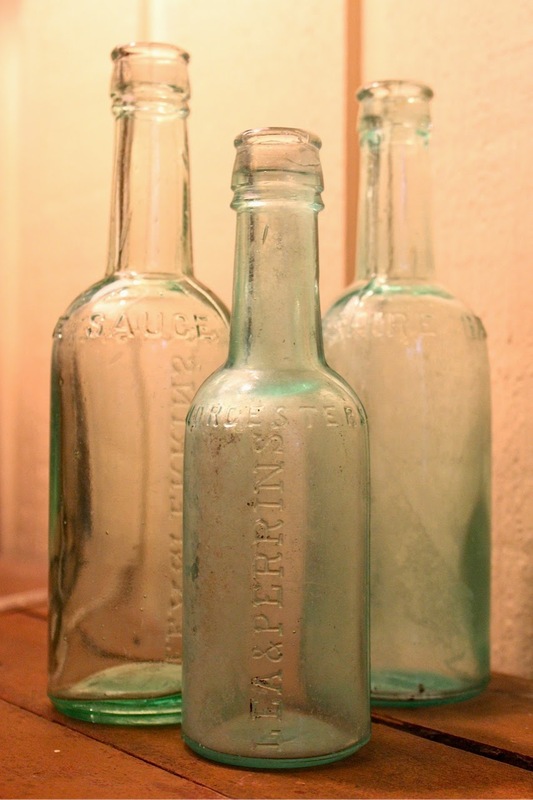 I love love vintage bottles!! Those are gorgeous! I love vintage bottles. I have a whole ton that need to go in my shop. I've been collecting the brown ones and love them! Love the bottles with the pictures! What a great idea. that's funny that one bottle says freeport.IL...my brother lives 15 minutes from there and was a cop there. 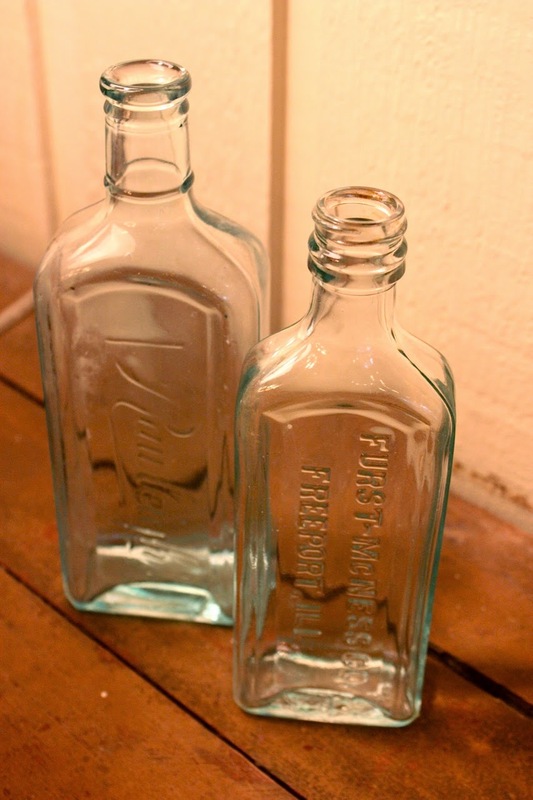 We used very similar vintage bottles for wedding centerpieces. Love how much character they have! I love embellishing old bottles but have found they don't sell well, it takes the right person. I love that photo idea though, really cool!!! How cool are those bottles! You never cease to inspire me! I've just started my own blog. Hope I can inspire others as well! Wow! What a great way to showcase vintage photos! Indeed, there's so much we can do with old bottles.